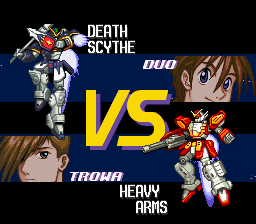 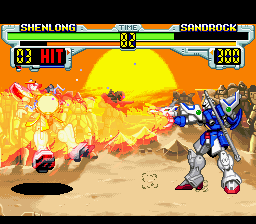 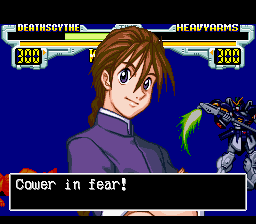 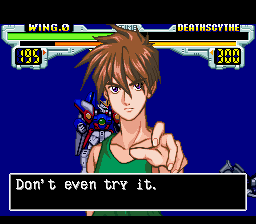 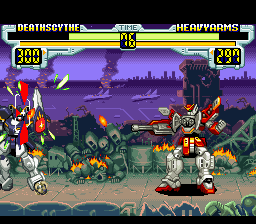 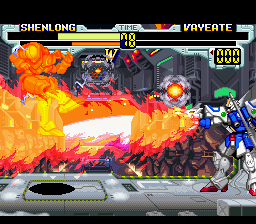 The very first project I ever attempted, Gundam Wing is an extremely well-done fighting game for the SNES. 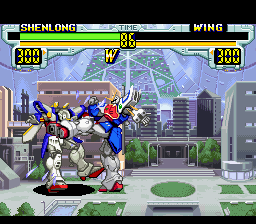 Featuring ten mobile suits from the Gundam Wing anime, you pick one and basically play Street Fighter Alpha with it. 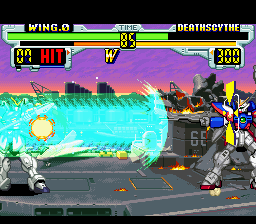 The graphics are good, the fighters are big, the moves are simple to pull off, and the final boss is cheap as hell. 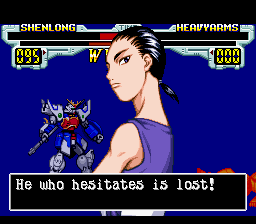 And now it´s been completely translated into english. 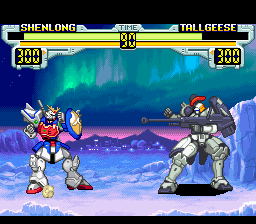 What more could you want from a fighting game? 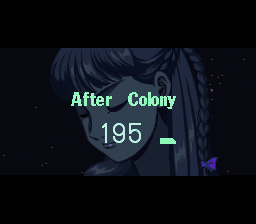 Please don't ask me what took me so long. 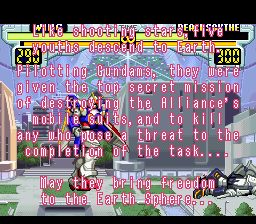 Even though it only took me five days to completely hack the game, it took me three YEARS to completely figure out HOW to hack the game. 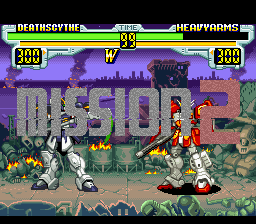 Needless to say, it wasn't a project for the inexperienced and probably one of the worst possible choices for me to start with ^_^ Oh well, I pulled through!